Nicely wooded 14+ acre parcel that borders public DNR Lands! It's just a short walk to the Pike River from the parcel and as an added bonus, it already has a drilled well/septic/electricity. A perfect place to build your new home or cottage. ATV access just down the road and the town of Amberg is 1/2 mile away. Older mobile has no value. 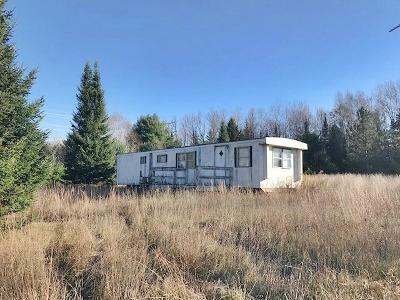 An excellent location for a recreational property!